TOOLBOXPresident Bush today nominated Navy Vice Adm. Eric T. Olson to lead U.S. Special Operations Command, replacing Army Gen. Bryan “Doug” Brown, according to a Pentagon release. Olson would be the first Navy officer to head Socom. The command is responsible for about 48,000 elite troops, such as Army Green Berets, Rangers, Delta Force operatives, Navy SEALs and Air Force rescue teams. Olson is now Socom’s deputy commander. Socom’s influence and budget — projected at more than $6 billion for 2008 — have grown since Sept. 11, 2001. In 2004, Bush designated Socom as the lead military organization for combating terrorism. In recent years, about 80 percent of deployed Special Operations forces have been engaged in Iraq and Afghanistan. Olson, a longtime Navy SEAL, has served in Israel, Egypt and Tunisia. He graduated from the U.S. Naval Academy in 1973 and received the Distinguished Service Medal and the Silver Star. Brown intends to retire this summer, military officials said. Olson’s nomination marks another step in the recent turnover of key commanders involved in the Afghanistan and Iraq wars. Adm. William J. Fallon this spring replaced Gen. John P. Abizaid as head of Central Command, which oversees the Middle East, and Gen. David H. Petraeus succeeded Gen. George W. Casey Jr. as the top commander in Iraq. One key military leader is likely to remain in his post. Bush is expected to nominate Marine Gen. Peter Pace to serve a second two-year term as chairman of the Joint Chiefs of Staff, the Associated Press reported yesterday. “It would not be a surprise,” a military official said yesterday. If you go to this web site, www.LetsSayThanks.com, you can pick out a thank you card and Xerox will print it and send it to a service person who is currently serving in Iraq . You can’t pick out who gets it, but it will go to a member of the armed services..
How AMAZING it would be if we could get everyone we know to send one!!! It is FREE and only takes a second. 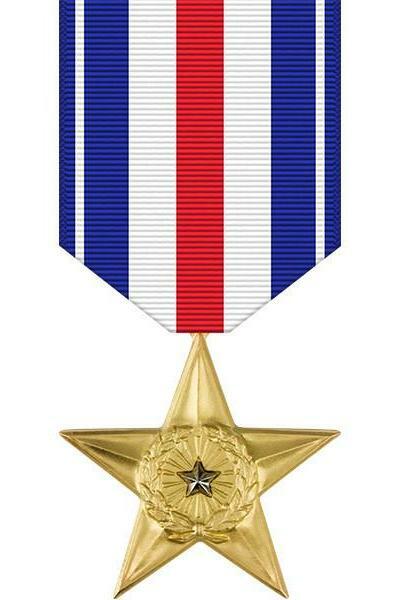 Wouldn’t it be wonderful if our service men and women received a bunch of these? Whether you are for or against the war, our soldiers need to know we are behind them. This takes just 10 seconds and it’s a wonderful way to say thank you. Please take the time, and then pass it on to others. We can never say enough thank you’s. 3. We will NOT obey orders to detain American citizens as “unlawful enemy combatants” or to subject them to military tribunal. Click here to read full length version. Merchant Seaman Defending What Is Rightfully Ours. Note: As per a Department of the Army audit conducted by COL Pam Mitchell, Chief Personnel ServiceSupport Division on May 6 1999. His name was David Haskell Hackworth and he died on May 4, 2005. He was a retired colonel in the United States Army and up until the day of his death, the nation’s most decorated living soldier. He lived a full life, but died as no soldier should: ravaged by a cancer most likely caused by his own nation’s use of chemical agents during the Vietnam War. “Commissioned on the battlefield at the age of 20,” he became the U.S. Army’s youngest captain. He would later go on to become its youngest full colonel. And he would throw it all away on principle after appearing on a CBS news program in 1971 declaring that the Vietnam War was unwinnable and that the United States should pull out. He also predicted that Saigon would fall within four years – it did on April 30, 1975 (how prescient he was). The Army that he lied about his age to join at 15 had been his life and it turned his back on him. Phony charges were trumped up against him and he was almost court-martialed. His career ended prematurely by the political hacks in uniform and the West Point Protective Association (WPPA), and he resigned. He threw away all of his medals or gave them to the children of relatives. He moved to Australia where he became successful with a string of restaurants and by breeding ducks. He married for a second time. But he never stopped loving the Army that had nurtured him. Perhaps most importantly, he never stopped caring about the welfare of the average GI who did the fighting, bleeding and dying for the nation he still called home. He thought about them and wrote about them and in 1989 published his bestselling book entitled quite appropriately, About Face. The book brought him additional attention and he decided to return to the USA. He traveled and lectured and became a senior correspondent for Newsweek magazine. At an age when most men are thinking of retirement, he started a new career as a war correspondent and traveled with U.S. and French forces during the first Gulf War. He would later post dispatches from Bosnia, Macedonia, and wherever and whenever American troops were sent in harm’s way. He never tired of speaking for the common soldier, sailor, airman, Marine or Coast Guardsman. He established a foundation known as Soldiers For The Truth (SFTT) and set up a website where he allowed GIs to write in about poor leadership, broken equipment and whatever other problems are the lot in life of the poor snuffy who all too often is told to grasp the bitter end. Hack would have never succeeded in elective politics; he didn’t know how to be diplomatic. A true infantry officer, trained in the profession of arms, he cared most about his troops and ensuring that he brought as many home as he could. But Hack was no blood-thirsty killer. Despite his years of combat and chest full of medals, he knew that war represented the failure of national policy and that most of the conflicts we had become embroiled in since he retired from the Army were unnecessary. When he died on May 4, he was 74. In his too many battles, he had been wounded eight times. Until the day he died, in one leg, he continued to carry a bullet he stopped, fired at him by a North Vietnamese soldier more than 35 years ago. And he developed a virulent form of cancer most likely as a direct result of defoliants used by his country in that all too painful war in Indo-China. Hack inspired an incredible degree of loyalty and devotion among the soldiers he once led and later, with the staff of writers who posted regularly at his site. I was one of them and feel honored to be able to say that.